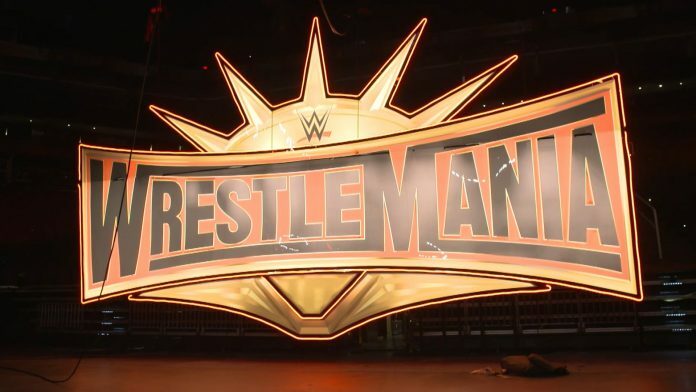 WrestleMania 35 is almost here, and there is no shortage of excitement around this year’s event. 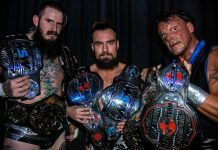 Set to take place at New Jersey’s MetLife Stadium, the event is not only regarded as “the Super Bowl of wrestling,” but is also known to bring together most of the industry’s power players into the host city. 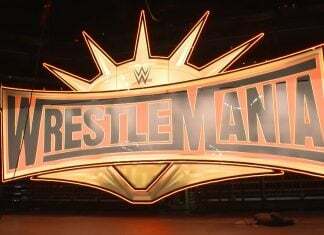 In turn, WrestleMania Weekend not only advances WWE’s storylines, yet it also is likely to bring about all sorts of rumors and industry developments as a result of so many major wrestling-related people being in the same city. To paraphrase something that comedian/writer Fred Stoller told me on the first edition of my podcast, there is nothing I want to do for three hours, let alone four or five hours. Nothing. Everything loses its luster the longer it goes on. Wrestlemania is slated to run over five hours this year. If you are watching from the comfort of your home that’s one thing, but there is no way your can expect maximum energy from a live audience for five hours. In turn, it wouldn’t hurt to keep an eye on the clock when it comes to allotting time for some of the matches and segments. 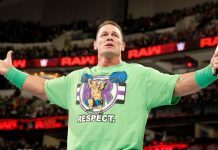 Last year one of the major storylines was about John Cena not having a match, and that he was going to be watching the show from the crowd. Then — how shocking — he wound up in a match with The Undertaker. Similar hijinks are to be expected this year related to Cena. It was only announced within the last week that the second annual Women’s Battle Royal will be taking place. In turn, WWE has not been using its weekly programming to build up a fair amount of this year’s card. On top of that, matches like Roman Reigns versus Drew McIntyre and Samoa Joe versus Rey Mysterio are not likely to be high on the average WWE viewer’s “I must see this” list. Buddy Murphy versus Tony Nese for the Cruiserweight Championship? Talented performers, but how much of the WWE Universe watches 205 Live? Too many matches. Unless the WWE’s goal is to just get as many people from the roster onto the card as possible. Say what you will about Sting’s in-ring performance a few WrestleManias ago, but it was great to see a bonafide wrestling legend involved in a big match. Adding the NWO and DX into the match as an unexpected surprise also was great to see. 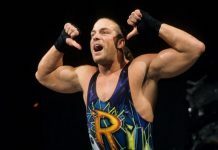 This year’s WrestleMania may think it is doing just that by having Shane McMahon in a match and separate match involving Triple H and Batista, but there is nothing “unexpected” about this. If The Rock were to appear in any capacity unannounced, that would be a welcomed (and news-worthy) surprise. Same with Hulk Hogan or Bret Hart, aside from them appearing within the “here’s this year’s Hall Of Fame inductees” segment. These people don’t have to take bumps or be involved in key storylines, but there’s no reason not to try and work in some legends into matches or cameo appearances. Some of my favorite artists of all-time have performed on WWE and/or WCW programming — including KISS, Mötley Crüe, Ozzy Osbourne and Run-DMC — but for the past decade or so, WWE has been tone-deaf when it comes to giving its fans great music-related content and performances. Why is that? Because WWE’s fanbase is so segmented, only a handful of artists are almost universally-loved. Yet WWE turns to go to country, hip-hop or metal with its partnering artists, primarily skewing towards artists with a “new single” to push. Joan Jett is going to perform as part of Ronda Rousey’s entrance? Cool. I mean, Joan Jett literally lives on the same street as me. Not kidding. She’s great in-concert and is still performing at a top level. But why give the one major, music-centric entrance to a heel? Keep it short as you’re not making a lot of people happy with your recent musical choices, WWE. The weekend of WrestleMania also includes a big NXT show, WWE Hall Of Fame inductions, and what many people view as being the most exciting episodes of Raw and Smackdown of the year. Given how much WWE-related programming that is, going back to an earlier point, why make WrestleMania a five-hour show? Whatever happens of note is likely to be addressed and/or continued the following two days on live television shows. If WWE is going to play up the importance of the “WWE Universe,” and is going to routinely poll its viewers as to what they do and don’t like, then the company ought to realize that “less is more.” WrestleMania itself doesn’t have to be an all-in blow-out in this day and age of endless content. Otherwise, the trend ought to continue of peak viewership coming for WrestleMania season, then dropping off shortly after and steadily declining into the summer.